Welcome to a unique holistic health service in Paradise Valley just north of Yellowstone Park. It’s located in a log cabin near Chico Hot Springs. 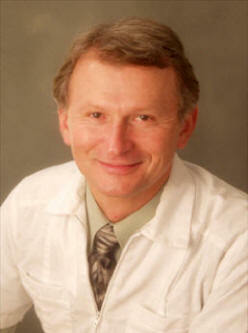 UltraMedics Services has evolved over 40 years while I developed four holistic health centers (1). My experience evolved from practice as an herbalist and clinical nutritionist to homeopathy and ‘ultramolecular’ medicine - the causal realm of quantum energy behind molecular medicine. Thus the name ‘UltraMedics’, a paradigm shift in service to holistic healing processes that integrate both molecular and ultramolecular modalities for complimentary synergy as optimizes wholEness - holistic health. Quantum science and quantum healing is quickly going mainstream with the Internet connection of billions of people globally. It’s easy to learn about quantum science with access to the most brilliant people on this subject. Search ‘Royal Raymond Rife’ and ‘Nassim Haramein’. My personal experience pioneering quantum healing goes back 26 years when I worked with the first UltraMedics system (2) to integrate body energy biofeedback processed through the periodic table of quantum biology – the first time it was computerized. Dr. Bill Nelson, a former NASA quantum scientist, was inspired to develop this advanced bio-feedback system after lecturing worldwide on the quantum science of Kirlian (auric) photography which clearly shows how toxic drugs afflict the energy fields in every part of the body. 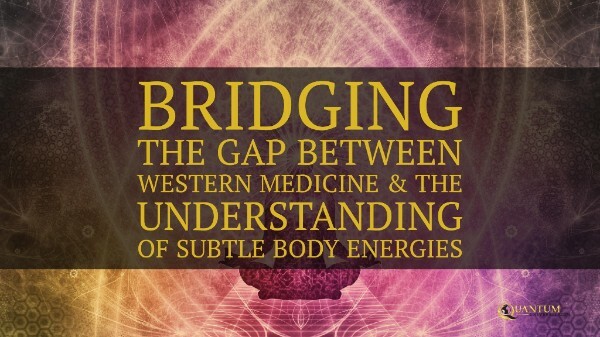 This science is not taught in medical schools in the West but it is well known in the Far East where energy medicine goes back thousands of years with acupuncture treatment of body energy meridians. The contemporary health care paradigm of treating disease rather than building health is rapidly shifting to a new ‘common sense’ that recognizes the value of holistic integrative care with well-informed choice. This model of ‘health sovereignty – to own one’s own health – is thoroughly explained at ‘Global TeLeCare’ (3) in a previous issue of Natural Life News. The holistic health community is well aware that natural healing processes can mitigate if not eliminate ‘dis-ease’ at therapeutic levels. The more holistic the healing modalities – working on the physical, mental-emotional and quantum-spiritual levels – the greater the holistic systemic results for optimal health. As a health coach for 4 decades, personally working with thousands of clients, I’ve learned what will most likely get optimal results for the least expense. This includes a combination of two superior supplements for the immune system (4), and also the next generation of quantum healing with ‘Trinfinity 8’ (5). Lorna gets a ‘Forever Young’ session; twelve T8 programs lasting 57 minutes. A personal session with the Trinfinity 8 includes a visual screen of morphing fractal patterns that correspond to algorithm codes selected for different health conditions. Earphones provide an audio of solfeggio tones that are carrier waves for the same fractal frequency coordinates. And you hold two laboratory-grown (flawless) quartz crystals that connect the body directly with the same fractal codes for recalibrating your bioenergetic blueprint for health. More than 70,000 health programs can be run with the Trinfinity 8 to address physical, emotional and mental conditions in the quantum-etheric energy fields of the body. Science geeks will appreciate how the T8 is a quantum interface with the fractal order of the holographic universe (6), and how a health “reboot” (reset) can recalibrate the optimal health systems in the body’s bio-energetic operating system. Having worked with the T8 for three years, and having sponsored a 2016 seminar with its creator, Dr. Kathy Forti, (videos here - 7), I can see why all kinds of health practitioners worldwide are now using the T8 to compliment their respective modalities of care. The truly amazing story behind Dr. Forti’s development of the T8 is told in her book ‘FRACTALS OF GOD’ (8) as well as in her seminar video. Just as the instant-everywhere Internet has virtually eliminated time and space in our ‘global village’, so does quantum healing work at any distance, much like a ‘prayer field’ of pure intention that heals remotely. In the quantum field, there is an energy signature with a person’s picture. When put in the toroidal field ‘portal’ at the tip of the T8 crystals, there’s a quantum connection with that person. That may sound bizarre but quantum entanglement is now being taught in many universities. Some would say that results with the T8, including remote sessions, have been "miraculous", but knowing the quantum science involved, it's not that suprising. I welcome personal appointments at the UltraMedics cabin. Lodging is about a mile down the road at Chico Hot Springs (9) with two restaurants. Plus, I often do reflexology and iridology for clients in the hot springs, but that’s extra… same as the $65 one hour T8 cabin sessions. If you can’t travel to UltraMedics for a hands-on session, I make ‘house calls’ (virtually), with remote T8 sessions while you work, drive or just go about your day. For a limited time, I’m providing a free remote T8 session when you purchase the $89.90 ‘Super Immunity Combo’ (4). If interested, email to UltraMedics@mcn.net and I’ll reply with what’s involved to set up the T8 to address specific holistic health concerns. the pain reduced to ZERO..."
other quantum devices? Learn more.